You guys have been very good to us over the years. You’ve read my books, you’ve written the most thoughtful letters, you’ve spread the DALS word to your friends, you’ve trusted me with your own treasured family recipes. As a token of our gratitude, we are happy to re-offer a free copy of 121 Books to the DALS community. 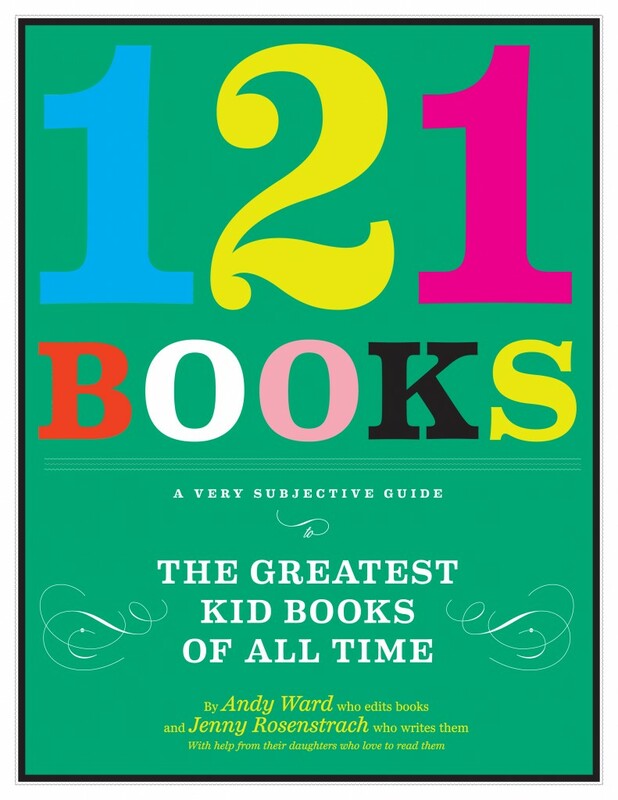 For those of you who weren’t able to download this back in the spring, 121 Books is a stunningly designed* collection of special children’s books that have seen us through the first decade of bedtime-storying, road-tripping, read-to-the-class-ing, and beyond. It features book recommendations from Daniel Handler, David Sedaris, John J. Sullivan, Pseudonymous Bosch, and George Saunders (for cripes sake!) among many other literary lights, and all you have to do to own it is click on the link below. Please, for full glorious effect, try to print it out in color. And also, please please spread the joy! Send this link to anyone you know who might need some help picking good books. Fine print? There is none! Though, OK, we do have to admit that this is a naked attempt to convince you to buy books for your kids and friends and, in general, to support the book industry, which is, of course, the industry that supports us. And hey! As long as you are browsing the shelves? I have a book you might like to grab on your way out. But no pressure. Or at least very little pressure. *Cover and interior design by Chelsea Cardinal. I love your 121 books. Great information and so well designed. Our family have read many of the books. Our house is filled floor to ceiling (not, really but that it what it often feels like) with books. Three of my kids are currently very into the Who Was/Who is series of books. They can not get enough of them which we love. You can never be to informed. Would it be wrong to have kids just so I can buy all of these books? Thank you for sharing this fabulous book. Thinking I need to stop time so that I can read the books we missed with my children. I still think Little House in the Big Woods is one of the best food books out there. have a great Holiday season! I started reading your book,DALS, this morning. I’m enjoying the introduction. Thank you for sharing the list of the 121 BOOKS. I love it! Perfect inspiration for holiday gift giving for the little ones. My one year old is currently obsessed with his books. Despite the overflowing shelves it appears we have many books we still need to buy. Thank you! My sister gifts my 3 kids 1 book each 1x month, making her the #1 aunt & sister in our little family. Seriously, how cool is that? So I am definitely sending her this link (though her book choices are perfect, too). I love DALS, and am gifting one for my girlfriend (new mommy & this book will help in the years to follow!). Thank you for this! We love books and are always looking for some good ones! Thank you! I thought we had read everything, but so many of those are new to me….and yet the ones I know would have made my list of best books,too, so I bet I will like your other suggestions! Well, I hope my kids will like them, too, but the Bedtime Reader’s opinion matters most, right? Thank you – I have a feeling that most of my Christmas shopping will be taken care of by this guide! Thank you for 121 Books – but as someone without kids, I am wondering for what ages are these suitable – under 10? Anything more specific? Would love to give some of these.